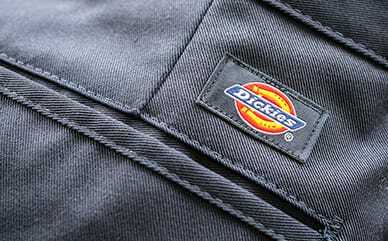 Dickies’ Relaxed Fit Boot Cut Leg Denim Jean is made to fit curvier women like a glove. Sitting slightly below the waist, with a relaxed fit through the seat and thigh, this jean has just enough stretch to keep it extra comfortable. The contoured waistband ensures the perfect fit and prevents gapping in the back. Throw in reinforced rivets on the front pockets and signature stitching on the back, and this is the ultimate pant for a curvy Dickies woman.